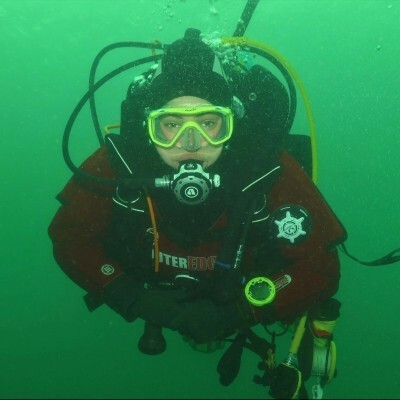 Why not contact us find out why we are the longest established dive centre in northern Ireland offering high quality training with our friendly and experienced team of instructors by coming to learn to SCUBA dive with DV Diving today! I have been diving since 2008 and fell in love with the sport from the first breath I took under water when did my discover SCUBA diving course with DV diving. I have over 2000 dives and have worked all over the world as a SCUBA instructor. I am currently a PADI Master Scuba Diver Trainer, boat skipper and equipment technician for DV Diving, as well as a freelance surface supplied commercial diver. 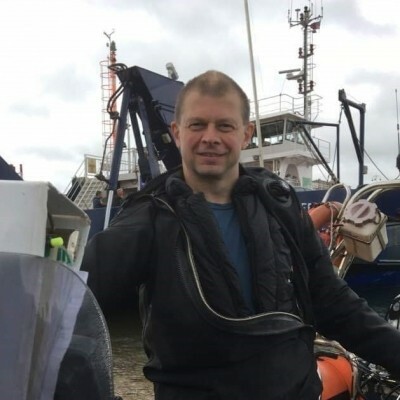 I also hold a qualification to dive on JJ-CCR rebreather as well as instructor qualifications to teach multiple PADI, TDI, SDI and HSE courses. 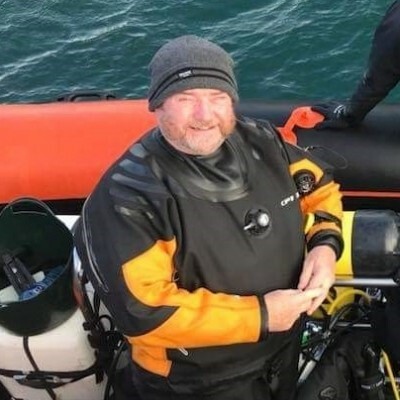 I am a PADI and BSAC Diving Instructor, a HSE Commercial SCUBA Diver and also hold an RYA Level 2 Powrboating cert with a Commercial Endorsement. 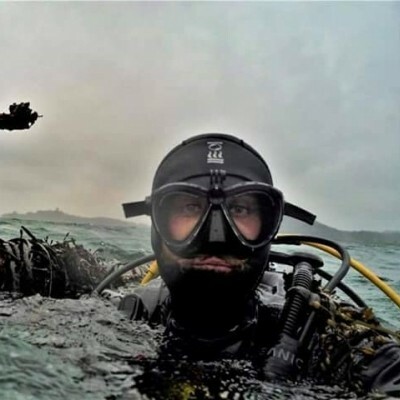 I have been diving for 15 years, always enjoying a trip out to the wreck of the Bangor (except in jellyfish season...). I work as a Civil Engineer and hope to train as a Surface Supplied Diver in the future. 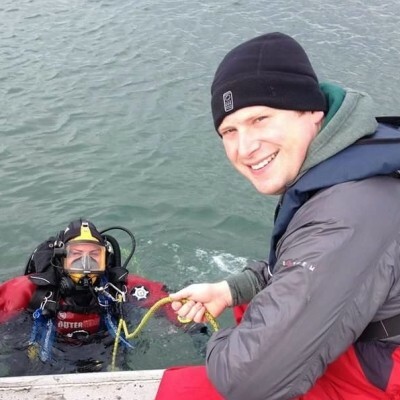 My name is Flynn and I'm currently a Divemaster Trainnee working towards finishing my course with DV Diving to become a fully qualified Divemaster. I've been diving for over seven years since I first obtained my Open Water certificate back in 2012. 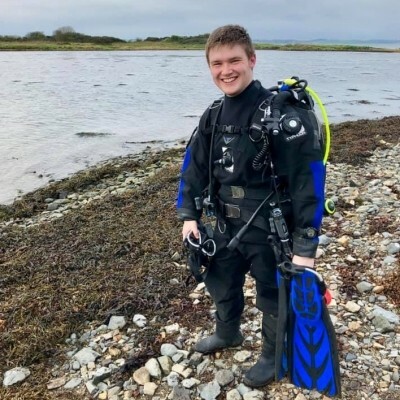 While I have dived in different areas around Northern Ireland, my favourite site to dive is the Outer Lees which is also one of the first sites I dived when I started diving!